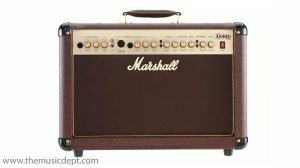 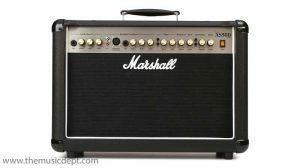 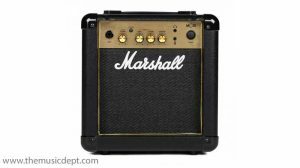 The Marshall Acton Bluetooth Speaker is a compact and portable Bluetooth speaker, with a single 4” woofer for handling of low frequencies, and two 3/4” tweeters for clear, pristine highs. 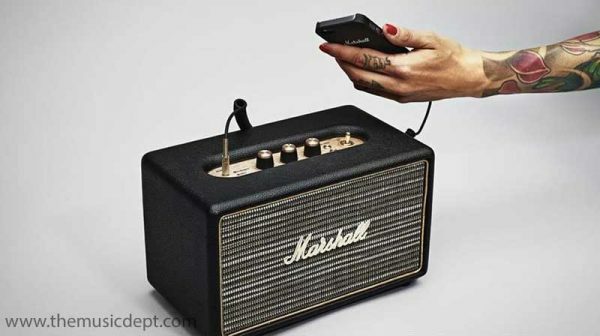 With a 3.5mm input jack for connection of audio devices, the Acton Speaker interprets Bluetooth connectivity for wireless music streaming from a smartphone or other Bluetooth compatible device. 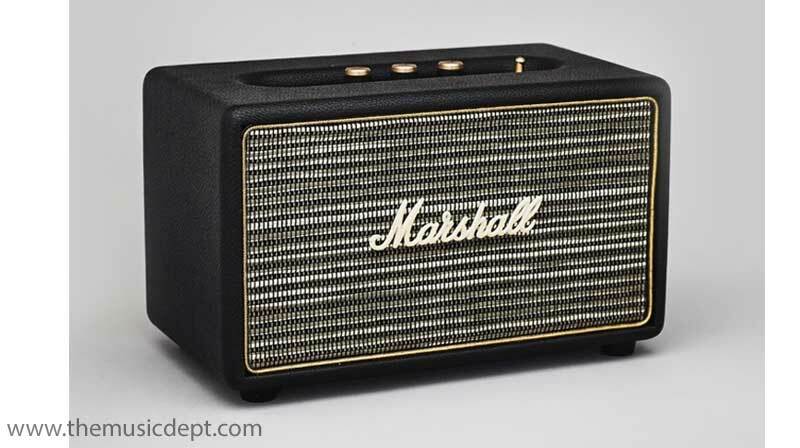 The classic Marshall design is accompanied by a vintage-looking front fret, with gold accents to complete the look. 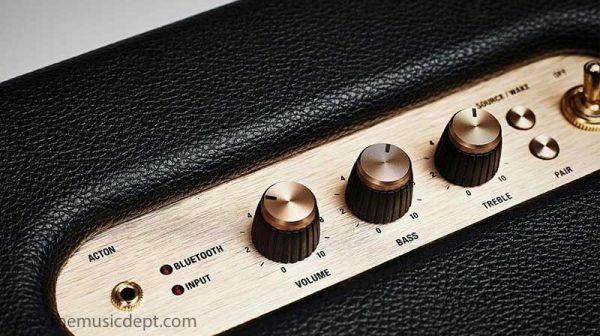 The top panel features an array of controls, including bass and treble control knobs for effortless alterations of your sound. 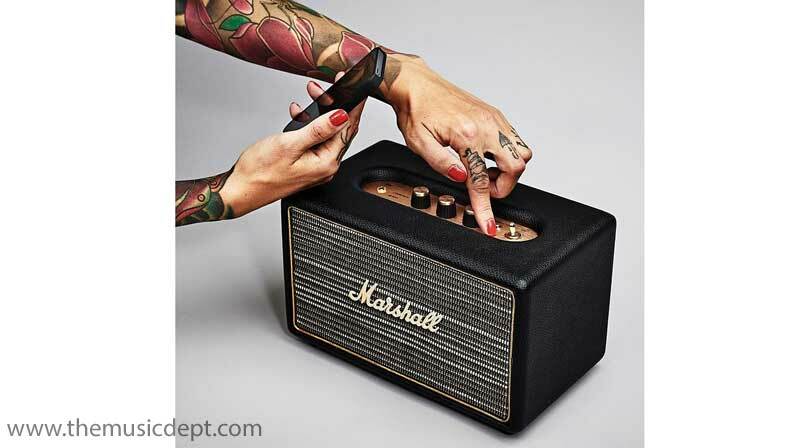 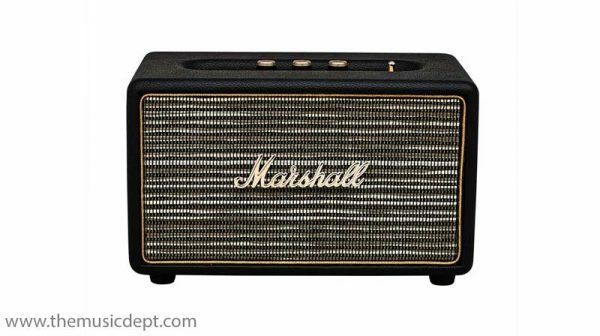 With an included 3.5mm jack cable, the Marshall Acton Bluetooth Speaker combines high-quality wireless sound with vintage style, in a sleek, compact unit. 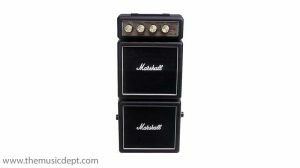 Be the first to review “Marshall Acton Bluetooth Speaker Black” Click here to cancel reply.